Casualties are mounting on both sides in Gaza conflict, Israeli babies break records and a helping hand for the Dead Sea. This and more in this week’s Israel News Recap. 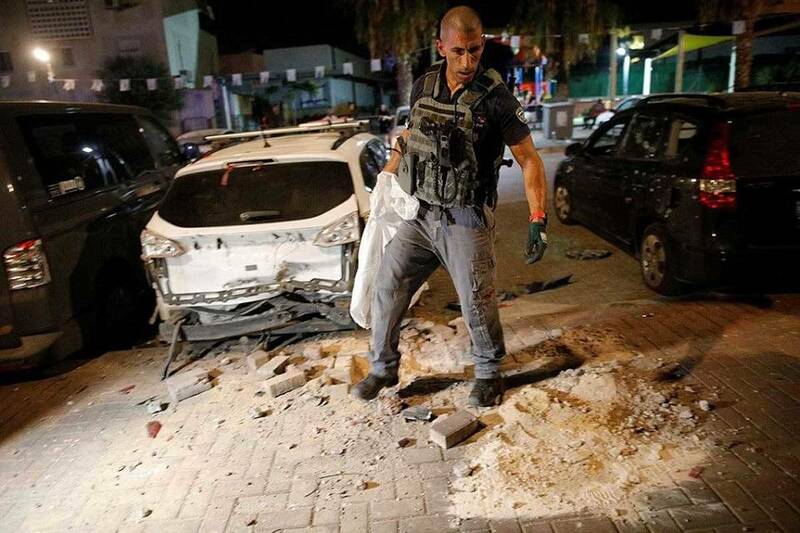 Damage from a rocket strike in Israel. (Source: IDF/Twitter). A delicate ceasefire is the key to a promising deal for peace. Meanwhile, a baby boom is overwhelming Israeli hospitals, protestors are rallying against the nation-state law, and new mining regulations could mean life for the Dead Sea. After a week of intense violence leaving dozens of Gazan and Israeli civilian casualties, Israel and Hamas have reportedly reached a ceasefire that could at last bring a period of peace - if it holds. The deal went into effect on August 15 and includes a series of goodwill concessions and promises, but at the core of it is an agreement to stop hostilities. Here is a point-by-point breakdown of the agreement. A full ceasefire from both sides. The reopening of Gaza’s border crossings. The expansion of the Gaza fishing zone. Resolution of the issue of captive soldiers. A return of missing civilians or other prisoners. Reconstruction and rebuilding of Gaza’s infrastructure with the help of foreign funding. Ongoing discussion of creating sea and air ports in Gaza. The agreement would also involve Qatari funding for electricity in Gaza and Qatari payment of Hamas officials' salaries, according to the Hezbollah-affiliated news outlet Al Mayadeen. The U.N.-Egypt brokered deal is promising, and just the idea of a cease-fire itself brings hope to the region which one week ago was one decision away from full scale war. It is important to note, however, that all of these conditions depend on the ceasefire holding, something that has seemingly proved impossible for Hamas to do in the past. Previous attempts at peace aimed at preventing further escalation in the Israel-Gaza conflict that began with the border protests in March have failed dramatically. Just last week the state of affairs was the worst it has been since the 2014 Gaza War. The Israeli Security Council was reported to be preparing both for a ceasefire and a full-scale ground invasion of the Gaza Strip. Here is what situation looked like just one week ago. 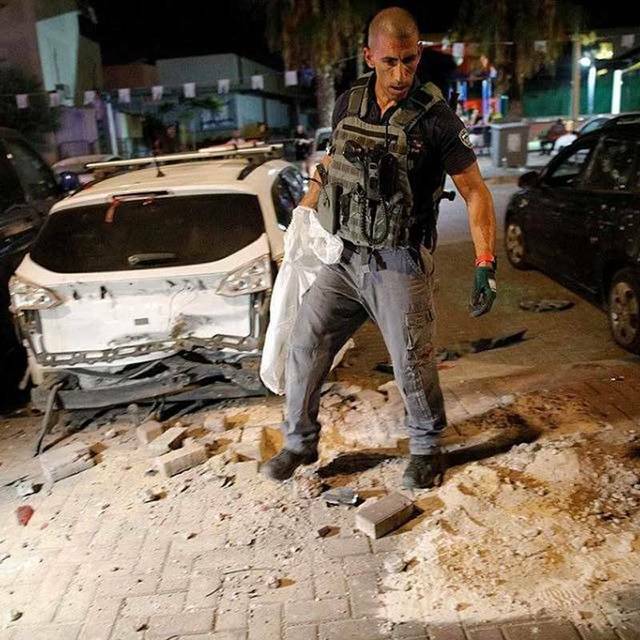 Between August 8 and 9, about 180 rockets and mortar shells were fired into Israel from the Gaza Strip, according to the IDF. 30 were intercepted. 23 Israeli civilians were treated for injuries in the attacks. Israel retaliated by striking over 150 Hamas targets in the Gaza Strip. 3 Gazans were killed in the Israeli strikes including a pregnant woman and child, according to the Gaza Health Ministry. The terror of that week is seen in this dramatic video< <https://twitter.com/IDFSpokesperson/status/1027244478598402048> captured as rockets fell on Israel cities. What that exactly means is unclear, but very important to define as this weekend’s border protest, encouraged by Hamas leadership, resumed with ferocity. In addition to the border demonstrations, IDF troops engaged in small arms fire with a gunman after being shot at, but did not take any casualties. Several fires triggered by incendiary devices were also ignited over the weekend. Israel has responded by closing the pedestrian crossing at the Erez border post, but has not yet said the ceasefire is over. What complicates the issue is that Hamas leadership refuses to admit that they ever made a deal or even discussed one with Israel. Instead, they claim the discussions have been regarding internal Palestinian Affairs. Admitting to a deal with Israel could undermine their authority in Gaza where they have held power since 2007. To make matters worse, the agreement was reached behind the back of the Palestinian Authority which has a feud with Hamas and rules the West Bank. Palestinian President Mahmoud Abbas sharply criticized the deal, saying that any aid to the Gaza Strip must go through the Palestinian Authority and that any reconciliation between his faction and Hamas must end in the PA ruling the Gaza Strip. Politics aside, if the ceasefire holds and the agreement is followed through on, Gaza finally has a chance at receiving crucial aid and taking the first steps toward reconstruction. Maternity wards across Israel are hitting capacity as Israel steps into a new baby boom that is bolstering the small state’s population. Several hospitals have reported record-breaking birth counts, according to the Jerusalem Post, with some babies even being born in hallways. In July, Soroka Hospital in Beersheba broke its record for births in a month with 1,518 deliveries, just more than the 1,510 in July last year. That is about a 10 percent increase over the average 1,395 births recorded there during the month of July over the past six years. This boom is accredited to higher fertility rates leading to more babies born in the late summer months. It also makes Israel stand out among developed nations as it holds by far the highest fertility rate among the members of the Organization for Economic Co-operation and Development, which has 34 industrialized states. Israeli and Palestinian flags waved in Tel Aviv on Saturday night as thousands of Israeli protestors shut down parts of the city to decry the recently adopted nation-state law. The protesters, which include Israeli-Arabs, Druze, Bedouin and Jews are rallying against a law they say excludes non-Jews from Israeli society and threatens Israel’s democratic status. The supporters of the law say it legally recognizes that Israel is a Jewish nation. This is the second mass march in Tel Aviv against the law, but Prime Minister Benjamin Netanyahu, whose coalition and party drafted and pushed the law, seems unfazed. He took to twitter to share a video of Palestinian flags being waved in Israel with the comment, “There is no better testimony for the necessity of the nation-state law. We will continue to wave the Israeli flag proudly and sing the anthem (Hatikva) with even greater pride." An opposition leader commented on the diverse background of the demonstrators saying, "Tens of thousands of Arabs and Jews are moving in large quantities on buses to Tel Aviv, because today we insist on delivering a clear message—a democratic state must be for all citizens." Ha’aretz reports that the demonstration was partly in support of Israel’s Druze minority which feels excluded and marginalized by the law. Both the Druze and Israeli Arabs may challenge the law in the supreme court. Life for the Dead Sea? For years, the Dead Sea has consistently been shrinking as the water level sinks lower and lower, but in a bid to keep some life in the salty oasis, Israel is reconsidering mining rights that only make the problem worse. Witness to a regional drought, the Dead Sea has been dropping about a meter a year in a slow-motion environmental crisis. Why? Along with the drought, the main source of life for the Dead Sea is the Jordan River which for years has been so overtaxed and misused that it has dwindled to a trickle. That is a problem of its own, but another Israeli officials are also turning their attention to the mining practices that exacerbate the problem. Reuters reports that Israel is seeking an early re-tender of the mining rights of mineral giant Dead Sea Works? How will that help? Dead Sea Works pumps millions of gallons out of the Dead Sea for mining use, but that extraction is speeding the drop of the water levels. And we’re not talking drops in the bucket here. Israel estimates that of the 700-800 million cubic meters of water lost each year, 250-350 million cubic meters is due to mining. Government interference with the mining operation is rare, but this time the move has both economic and environmental motivations. Read more about the full implications of this deal here. If the facility’s new license goes through, it will include water pumping limits coupled with financial incentives to use less water and a reduction in the amount of territory open to quarrying and drilling for wells.